Well, your cat has vomited in the center of your living room — on your favorite vintage rug, of course — yet again. No doubt it can be frustrating for both you and your cat, but repeated accidents like this can be indicative of a sensitive stomach and seeing the vet may be in order. By making some adjustments to their eating routine, which your vet can help with, you can get your purrrfect friend back to normal, especially if they’ve ruled out a serious medical condition. Usually, it’s pretty obvious if your cat has a sensitive stomach. Sometimes, though, the signs aren’t so clear. For that reason it’s important to observe their behavior, especially around the times they eat. If you notice your pet has any of the following symptoms, they likely require extra care when it comes to eating. Frequent vomiting — this doesn’t include hairballs or “scarf and barf” where food is ingested too quickly and comes up whole within minutes of a kitty downing their grub. Vomiting refers to food that’s been forced out of the stomach, not the esophagus, and is usually followed by drooling and/or retching. Blood in vomit — even if it’s infrequent! If it happens once, it’s indicative of a greater issue and should be addressed immediately. Frequent diarrhea — a bout caused by eating something bad is one thing, but if your kitty has diarrhea consistently that’s indicative of a digestive issue. Inappropriate Elimination — urinating or defecating outside of the litter box. If your cat suffers from an acute sensitive stomach (meaning it’s not chronic), you can take some steps at home to help get through the bout of vomiting and diarrhea. Remember – if this lasts longer than 24 hours, please call your vet as it may be something serious like pancreatitis or a foreign body ingestion. Keep Your Cat Hydrated: Make sure your pet is fully hydrated by giving him fresh, clean water. Dogs with diarrhea and vomiting can become dehydrated very quickly. Withhold Food: Most veterinarians will recommend fasting a kitty who has stomach issues for 24 hours, so that the culprit can work its way out. Poached or steamed chicken breast alone. Poached or steamed chicken or turkey mince with or without white rice. Low fat cottage cheese and cooked white rice. Poached or steamed chicken breast with cooked white rice. Elimination Diet: Pets being tested for a food allergy or intolerance may need to go on a bland elimination diet to determine the cause of their symptoms. Ask your vet for the exact route your cat will need to take and expect to try all sorts of new proteins in the future (kangaroo, alligator, and more!). Additionally, if you’re in the throes of an elimination diet, check out How to do a Food Allergy Elimination Diet for Your Cat on Medium for tips and tricks. Medication: You may need to bring in a stool sample so your vet can test for parasites or other causes for stomach upset. If the stool tests positive for parasites, you will need antibiotics or anti-parasitic medication, and this usually is administered every day for 7 to 10 days. If the stool is negative for parasites, your vet may do a physical exam and will run a blood test to check for elevated enzyme levels in the liver to determine the cause of tummy upset, which can be a foreign body issue, pancreatitis, or chronic condition. Do not try to treat your cat with human medicines without consulting your vet. In addition to giving your cat the appropriate amount of food and making sure they don’t ingest foods and material that upset their stomach (such as dairy products and grass/plants), the following specially formulated foods can help. Science Diet Sensitive Stomach & Skin Adult cat food comes in both wet and dry varieties. Each is free of ingredients that could potentially upset your cat’s stomach, including artificial flavors, artificial colors, and preservatives. The food also contains vitamin E and nutrients to help keep skin healthy and hair glossy. Blue Buffalo Sensitive Stomach Chicken Recipe Adult Dry Cat Food is recommended. This dry food from Blue Buffalo features lean chicken as the primary source of protein, which helps to support strong muscles. It also contains probiotics and FOS prebiotics, which both help to promote a healthy stomach and better digestive health. The addition of omegas, amino acids, and fatty acids helps to promote good health in your kitty as well. Sometimes eliminating ingredients is the best way to help bring comfort your kitty with a sensitive stomach. Natural Balance has a Limited Ingredient line that features one type of protein along with vegetables. There are wet and dry formulations available in Green Pea & Chicken, Green Pea & Duck, Green Pea & Salmon, and Green Pea & Venison. It may benefit your kitty to incorporate a probiotic supplement into their regimen. 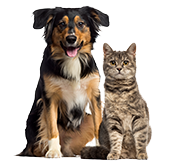 There are a handful of options available, such as Purina Pro Plan Veterinary Diets FortiFlora Probiotic Cat Supplement and NaturVet Digestive Enzymes Cat Supplement Chews. We recommend speaking with your veterinarian as to what’s suitable for your cat. Is it Time to Schedule a Vet Visit? 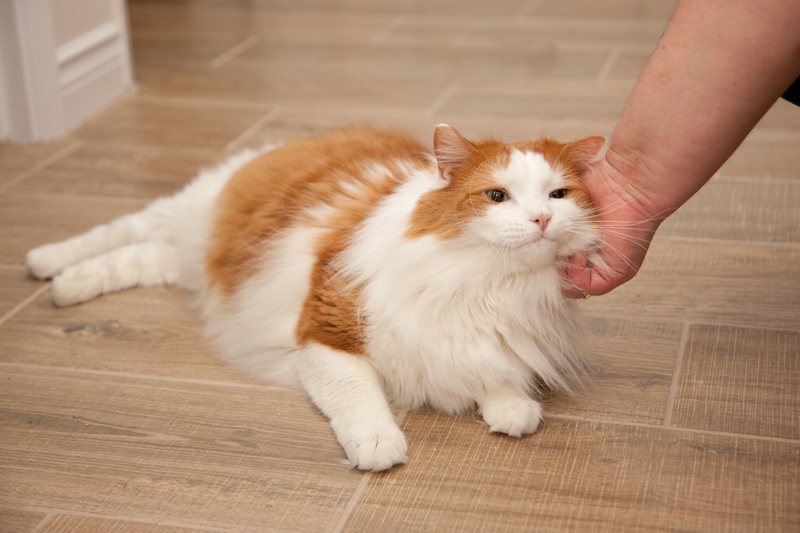 Consistent vomiting and diarrhea despite dietary changes, weight loss, ongoing lethargy and malaise, and behavior that’s out of the norm for your cat are signs that it’s time to schedule an appointment with your vet. All the above could be symptoms of an underlying issue that needs to be addressed. At the appointment, your veterinarian will assess your cat’s health, perform pertinent tests, and help determine the cause. It could be something small, such as a common bug that can be treated with a prescription, or it could be something greater, such as a gastrointestinal or other systemic disorder that needs to be carefully managed. Whatever the case, swift attention is recommended for the health and happiness of your pet. Stomach issues are the second most common reason why our pet parents visit the vet. From chronic GI issues to a sudden bout of toxicity, by enrolling in pet insurance you can save up to 90% on vet bills. This means you can say “yes” to life-saving treatments. Start by getting a free quote.